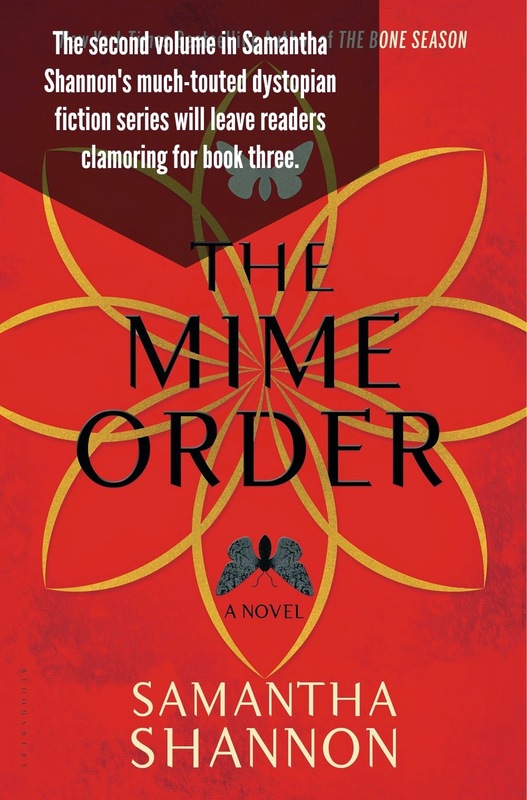 The Mime Order is the second novel in Samantha Shannon's Bone Season series, a planned run of seven books set in a dystopian future where half of the population has clairvoyant powers and is hunted by the government because of those powers. Shannon picks up where The Bone Season left off: Paige Mahoney is racing back to London after narrowly escaping Sheol I, where she had been held prisoner for months because of her unusual clairvoyant powers. In London, she must decide whether to rejoin her old crime syndicate or go it alone--with the full force of both the government and the criminal world set against her. Shannon spends little time rehashing the events or explaining the world established in the previous novel, so those new to this world will likely want to start with the first book. Those eager to continue Paige's story will not be disappointed by Shannon's sophomore showing, which boasts all of the suspense, intrigue and mystery of the first volume as well as an addictive storyline that will leave readers clamoring for the next chapters in Paige's ever-intensifying life. The series characters have matured, which means Paige and those around her are becoming more nuanced, and their motivations clearer, as the story unfolds. Similarly, and perhaps more excitingly, Shannon's prose has also matured, and this deft effort to build on the complex world she constructed in the first installment will solidify the series' rightful place among the best of fantasy, sci-fi and dystopian fiction. Note: Thanks to the publisher for providing a copy of this book to review.